Twenty seven years ago after numerous requests from the Afghan government, the USSR deployed its troops to the country. 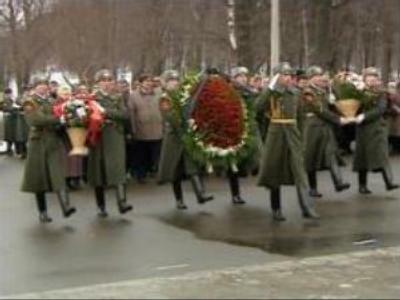 Every December the Russian veterans of that war come together to remember those who didn't come back from Afghanistan. What was planned to be a short-term mission to support the country's young democracy soon turned into a full-scale war that lasted nearly a decade. It all began in December 1979 when thousands of Soviet troops were deployed in Afghanistan. The Afghan war was the last military action of the Soviet Union and one of the most controversial regional conflicts in the history of the country. “It was named differently, an international duty or an act of aggression, depending on whether the USSR or the US dabbed it,” said Evgeny Khrushchev, Military Analyst. With the Islamic fundamentalist Mujaheddin movement rising the split ruling Democratic Party of Afghanistan could not withstand the insurgency and needed international interference. But with the local mentality and religious factors not taken into consideration the Soviet involvement turned into a decade-long war with some 15000 dead among Soviet troops, and Afghan casualties many times that number. Every December the Afghan war veterans come together to remember their brothers in arms. The last Soviet soldier left Afghanistan in 1989 but the veterans say the images of the war are still clear in their minds. With many of them having spent all ten 10 years of war there they are still following the events in the country and have their own personal take on events there. “The US soldiers are now dying in Afghanistan too. And again this doesn't bring any positive results. On the contrary it only throws more oil on the growing flames of war. The hatred towards the US among locals is growing,” thinks Oleg Grigorevich, Afghan war veteran. Evgeny Khrushchev was also one of those who took part in the warfare.He says the conflict then was a part of the cold war between two superpowers. But even after many years, this confrontation echoes in the modern world. “The current situation in Afghanistan was both the result of the CIA success in forcing the Soviet troops pullout from Afghanistan. But the other side of this coin was that it was also a major failure, because the US failed to notice a brand-new threat that was emanating from Afghanistan in the form of unrestricted muslim extremism and international terrorism,” told Evgeny Khrushchev. With international terrorism believed to be the major threat to the world the current situation in Afghanistan shows the history may indeed repeat itself and some lessons simply can not be ignored.